With a glorious past, a vibrant culture, a rich tapestry of history, and natural bounty in the form of blue beaches and clear skies, Tamil Nadu is atourist's dream come true. One can enjoy on the Marina beach, go cruising in the theme parks, or let the mind search for peace in the midst of magnificent temples making Tamilnadu - The State of Temples. Tamil Nadu India is not about the past only, but it has set its site on the future. 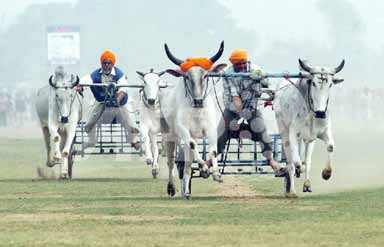 The state is developing rapidly on all the fronts whether it is economy, social, human resource, culture, and so on. Tamil Nadu is one of the top three Indian states that receive highest foreign investment in the sectors like automobiles, information technology, power, telecommunication, and others. On the social front, Tamil Nadu India has a high per capita income, there is easy availability of social resources to people, and it produces quite a large number of trained manpower to increase the productivity. No wonder that the past and present in Tamil Nadu has a harmonious coexistence. Location: Chennai (formerly Madras) has the Bay of Bengal bordering its east, Andhra Pradesh on its northwest, Kanchipuram on its south and the states of Kerala and Karnataka on its western side. Tourist Destinations: The Marina beach, stretched over an area of 13 kms, is the second longest beach in Asia. Presently used as the state secretariat, the St. George Fort is another landmark of Chennai. One of the many old temples of Chennai is the Parthasarthi temple dedicated to Lord Krishna. 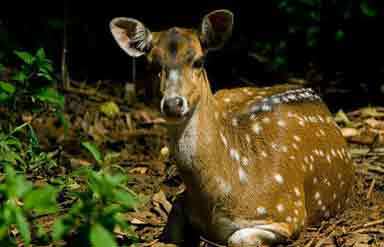 Guindy National Park and Snake Park, situated close to each other near the Guindy station, are other places to visit. Kapaleeswarar Temple, oldest temple of Chennai, is dedicated to Lord Shiva. 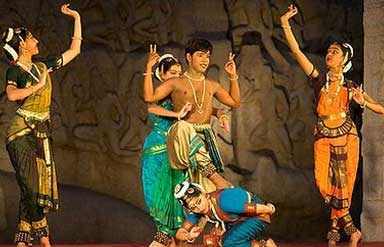 The Birla Planetarium, Elliot Beach, Valluvar Kottam, National Art and Government Museum, Anna Zoological Park, Kalakshetra and the Theosophical Society are some of the other tourist destinations. 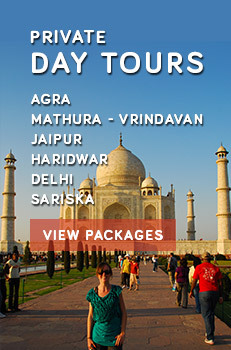 Location: It is one of the most sacred Hindu pilgrimage sites in India and the seat of the Shankaracharya. The city is around 70 kms from Chennai in Tamil Nadu. 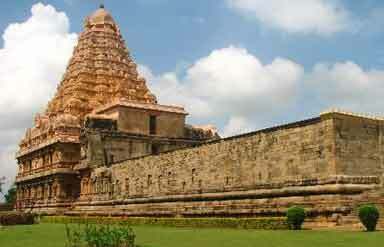 Tourist Destinations: Kanchipuram is a Temple city. The Ekambaranathar Temple in the city was built by the Pallavas and was later reconstructed by the Chola and Vijayanagar kings. Shiva is worshiped here as Prithvi (earth), one of the five basic elements of the physical world. The Vaikunta Perumal Temple dates back to the 8th century, built by Nandivarma Pallava. The Varadaraja Temple is dedicated to Lord Vishnu who is worshipped Devarajaswamy. This temple, which has a 100-pillared hall, was built by the Vijayanagar kings and displays the mastery of their artists. The Temple was constructed by the Pallava kings in the 8th century AD. The Kamakshi Amman Temple has an imposing structure and is dedicated to goddess Parvati in her incarnation as Kamakshi, the goddess of Love. Location: The town of Chidambaram is situated in the east-central part of Tamil Nadu. The town is in the Coleroon River Valley on the Madras-Thanjavur road and rail system. Tourist Attractions: The Nataraja Temple is located in the center of Chidambaram town covering an area of 40 acres. One of the significant aspects of the temple is that there is no image of god in the Chit Sabha, which houses the Akasa lingam. This to signify that God exists even in spaces. The Thillaikaliamman Temple is on the northern end of the town is dedicated to Goddess Kali. Other shrines to visit are Shivakama Sundari, Pandya Nayakam of Shanmuga, Karpaga Vinayaka, Navagraha Linga, Meenakshi Sundaresar, and Kumarakotta Murgan. Sprawling over an area of three hundred acres is the Annamalai University, which is one of the foremost in the country. Location: The historical city of Trichy (formerly Tiruchirappalli) is situated on the banks of the Kaveri River (also Cauvery) in Tamil Nadu. Tourist Destinations: Perched on a massive rocky outcrop at an altitude of 83 m above sea level, the spectacular Rock Fort Temple is an important landmark on the shores of the Kaveri. The Thayumanaswamy Temple, dedicated to Lord Shiva is situated halfway to the top. The Sri Ranganathaswamy Temple (Srirangam), situated 6 kms north of the city, is among the most revered shrines dedicated to Lord Vishnu in South India. The Jambukeshwara Temple, dedicated to Lord Shiva houses five concentric walls and seven gopurams. The principal deity is the Shiva lingam, almost submerged in water, which flows from the subterranean spring in the sanctum sanctorum. The principal deity is the Shiva lingam, almost submerged in water, which flows from the subterranean spring in the sanctum sanctorum. Location: Kanyakumari is the southernmost point of peninsular India and the meeting point of three gigantic oceans the Bay of Bengal, the Arabian Sea and the Indian Ocean. Besides a Hindu pilgrim center, it also offers beautiful views of sunrise and sunset over the waters. The multicolored sand is a unique feature of the beach here. Tourist Destinations: The Kumari Amman or the Kanyakumari Temple, located on the shore, is dedicated to a manifestation of Parvati, the virgin goddess who did penance to obtain Lord Shiva's hand in marriage. Two rocks reach out of the ocean, southeast of the Kumari Amman temple. One of these is Sri Padaparai, where the footprints of the virgin goddess are said to be imprinted on this rock. Here also stands the famous Vivekananda Rock Memorial built in 1970. The striking Gandhi Memorial has been built on the spot where the urn containing the Mahatma's ashes was kept for public viewing before immersion. Location: The temple city of Madurai is situated on the banks of the River Vaigai. Besides the cultural capital of Tamil Nadu Madurai is also the second largest city in the state. According to a popular belief, it derives its name from the divine nectar (Madhu) that was showered from the locks of Lord Shiva. 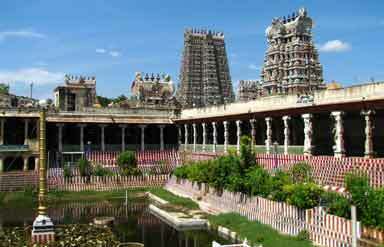 Tourist Destinations: The principle landmark here is Meenakshi Amman Temple. Goddess Meenakshi and Lord Shiva are the main deities of the temple. The temple has 985 beautifully sculptured pillars that form the Thousand Pillar Mandapam Hall. The other prime attraction in Madurai is the Vandiyur Teppakulam. Besides the temples, the Tirumalai Naik Palace is a must see palace for the tourists. Munnar, Thekkadi Wildlife Sanctuary and Palani Hills are other places of interest around Madurai. 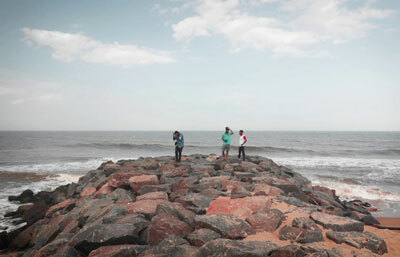 Location: The name Pondicherry has been derived from the Tamil word Puducheri signifying 'the new settlement'. It was a French settlement that comprised Pondy, Yanam, Karaikal, and Mahe. Amazing is the fact that different districts of Pondicherry fall under different states. 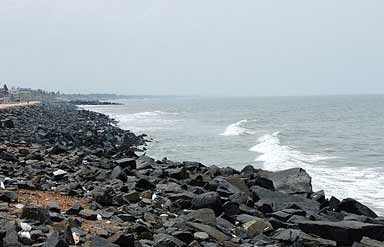 The capital Pondicherry is situated in the state of Tamil Nadu at a distance of around 200 km from Chennai. While Karaikal is also a part of Tamil Nadu, Mahe is located in Kerala, and Yanam is in Andhra Pradesh. Tourist Destinations: The Sri Aurobindo Ashram was founded in 1920 when Sri Aurobindo reached Pondicherry. The ashram houses the samadhi of Sri Aurobindo and his mother. The Pondicherry Museum, Bharthi Museum, Bharthidasan Memorial Museum are the other tourist spots in the union territory. Church of Sacred Heart of Jesus built in the Gothic style is one of the most beautiful churches in Pondicherry. The Anna International Airport, 16 kms south of Chennai, has flights to/from Sri Lanka, Dubai, Germany, Jakarta, Malaysia, England, Maldives, Saudi Arabia, and Singapore. Major Indian cities are also connected to Chennai by regular domestic flights. The railway station at Chennai has connecting trains to/from all major cities in India. The bus terminals in Chennai are on either side of Prakasham Road in George Town, near the High Court Building. There are buses to all the neighboring states. Ferry services are also available in Chennai. Pondicherry is connected through a meter gauge railway line with Villupuram. It is well connected with most of the major towns of southern India by road. Buses ply between Pondicherry and Chennai regularly as well as for other important cities of this region.